The Silver Cocktail is a Prohibition-era cross between the Martinez and the Martini. Truly old-style, at equal parts gin and vermouth, it seems to reside comfortably on its own branch of the Martini family tree. Both the Martinez and the Martini apparently predate it. 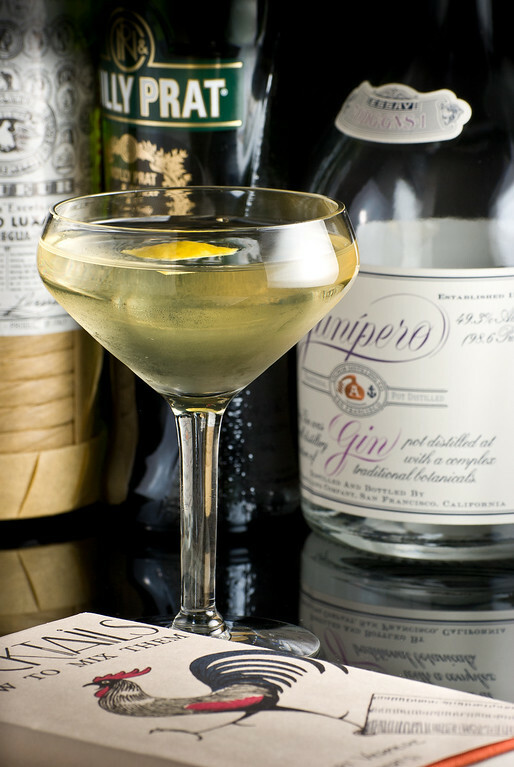 A clever hybrid, the Silver Cocktail was first published in Robert Vermeire’s 1922 Cocktails: How to Mix Them . It is intriguing that one of Vermeire’s recipes for the Martinez is exactly the same as his Silver Cocktail recipe, only the former is specified with Old Tom gin. The recipes are otherwise identical, right down to the French vermouth. The Silver is Martini-simple to make—the only extra ingredient is that dash of Maraschino liqueur. Stir with ice until cold; strain into a chilled cocktail glass. Express and garnish with lemon. Most good London Dry gins work okay here, but the Silver is another cocktail where juniper-forward gins like Tanqueray or Junipero stand up commendably to the large portion of vermouth. Vermeire suggested “3 or 4 dashes” of Maraschino, and he defines a “dash” to be 1/3 teaspoon. The quarter ounce I’ve listed here seems to balance just about right. “The Silver Cocktail” at http://cold-glass.com : All text and photos copyright © 2011 Douglas M. Ford. All rights reserved.